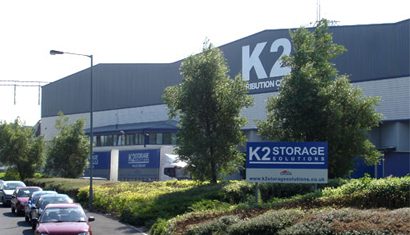 K2 Storage Solutions provide 'world class' business and warehouse storage services in the UK. 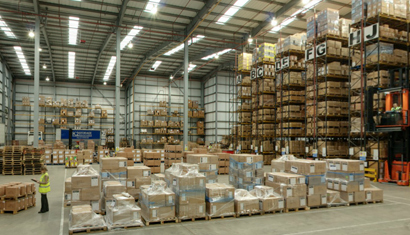 Our leading warehouse facilities offer over 110,000 sq ft capacity for your business storage needs. At K2 Storage Solutions, we provide one of the most reliable and secure storage facilities in the North West allowing you, the customer, to concentrate on your core business needs. Looking for cost effective, professional and highly secure UK business storage services? North West allowing you, the customer, to concentrate on your core business needs. So whether you’re looking for a short-term last minute transit point, carefully considered storage space for large volumes of stock, or an experienced logistics partner, we’re here to help. What’s more, we’re so confident that ours is the most cost-effective warehouse storage of its kind, that we promise to beat your current storage rates with our ‘Lowest Price Guarantee’. All of this combines to ensure a trusted, hassle free, value adding warehousing service, regardless of your pallet or container storage requirements. 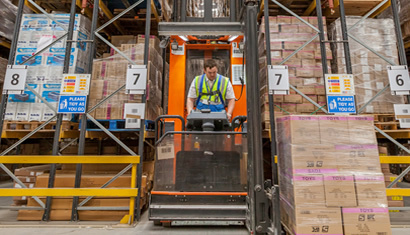 As part of the growing Sutton Group of Companies you can be confident that your placing your’e warehousing and business storage needs with a highly regarded and trusted organisation, with a reputation for security and logistical excellence that is second to none. With a group capacity of over 30,000 pallet locations across our 3 sites in Burnley, Preston and Bolton, we can accommodate your business storage needs however large or small your volume of stock and whatever your industry. We combine the very latest equipment and software with the skills and personal knowledge of our highly experienced business storage team Decades of business storage and logistics expertise, translates into exceptional service, security and cheaper warehouse storage space, every time. Are you looking for cost effective, professional and highly secure UK business storage services? We’re so confident that you won’t find a cheaper warehouse storage service like ours anywhere else, we offer our Lowest Price Guarantee – our guarantee to beat your current storage costs! As part of the Sutton Group of Companies you can be confident that you’re placing your warehousing and business storage needs with a highly regarded and trusted organisation with a reputation for stability and reliability that is second to none. With a group capacity of over 30,000 pallet locations across our 3 sites in Burnley, Preston and Bolton, we are sure that we can accommodate your business storage needs. We combine the very latest equipment and software with the skills and personal knowledge of our team, gained from decades of business storage and logistics experience, to bring you exceptional service, security and cheaper business storage every time.